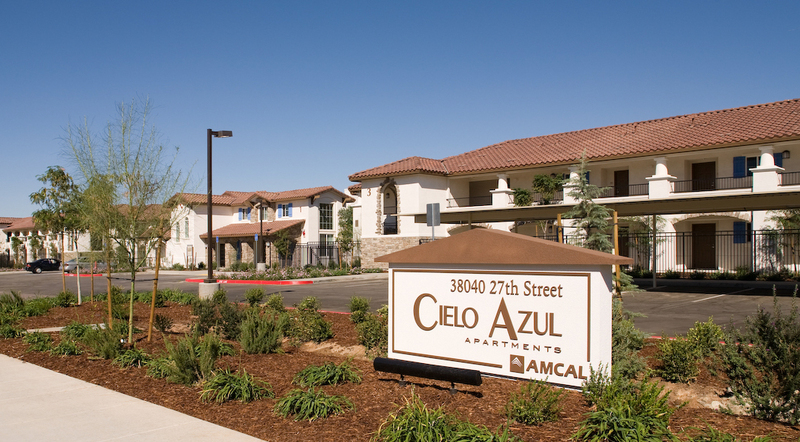 Cielo Azul senior apartments is an infill development that replaced a vacant 4.4- ac. site in Palmdale in northern Los Ange- les County. The development includes 81 affordable senior units with 1-2 bedrooms, built with Type V wood construction on a concrete slab with 122 surface parking stalls. 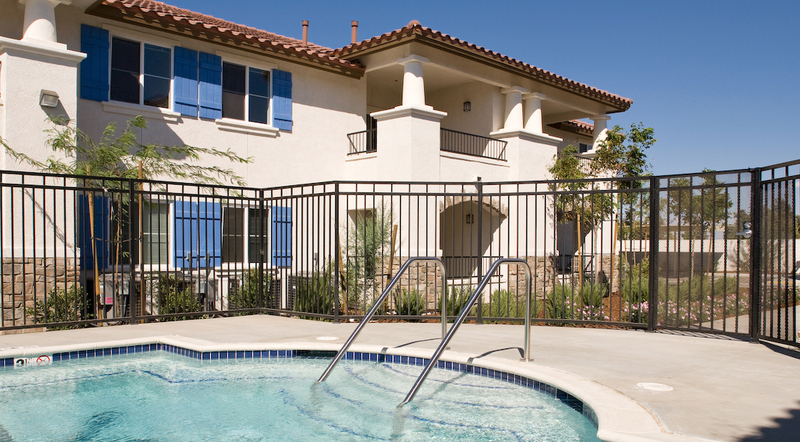 Amenities include ample open space, a spa, and community clubhouse. 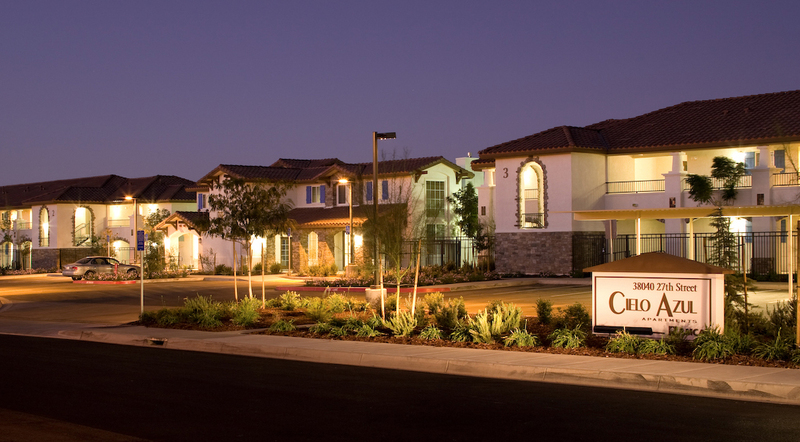 It is conveniently located near McAdam Park, health clinics, the Palmdale senior center, shopping, and on an Antelope Val- ley Transit Authority bus route. The project was financed with $9,973,000 in 9% Low-income Housing Tax Credits, allocated in 2006. 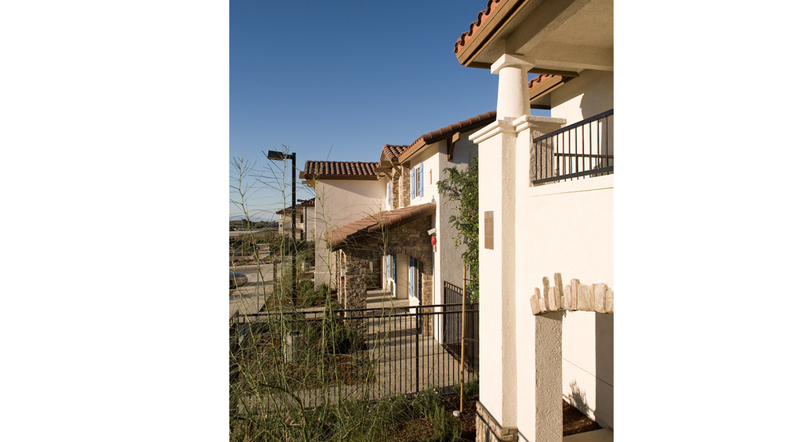 The City of Palmdale provided a low-cost, long-term land lease and fee waivers for affordable housing.